This amazing program is your road-map to abundance and success in life and recovery. People with substance use issues are some of the most resourceful and capable people on the planet. Freedom 365™ aims to redirect self-destructive behaviors and refocus that energy on life-improving behaviors. When your life is firing on all cylinders, it’s easy to leave pain and misery substance use brings in the past. To this end, the Freedom 365 Virtual Recovery System™ loads your recovery tool chest with everything you need to succeed both in life AND in your quest to leave substance use behind. By simply following this system, we promise a rewarding journey that will lead to greater fulfillment in all areas of your life. For the first 28 days of Freedom 365™, you will be guided through bestselling addiction recovery author and treatment center CEO, Brian McAlister’s interactive Full Recovery™ program. Until now, this ground-breaking program was only available to a select and privileged few, but thanks to recent advancements in technology it can be now be accessed by anyone, anywhere on any device. This life-changing, interactive program will be the foundation of your success in life and recovery. Each day of the Full Recovery 28-Day Kick-Starter Program™ is represented by one “module” consisting of several different sections. As you view the videos you will be prompted to answer questions and complete daily exercises. It’s important to answer these questions as honestly as possible. All of your answers are completely confidential and secure. Freedom 365™ is HIPPA and FERPA compliant, adhering to the highest cyber security standards. All of your answers to the questions will be stored in your Freedom 365 Action Plan™. Your private Freedom 365 Action Plan™ will be your road-map to a successful recovery! Substance use issues often have biological, genetic, psychological, social and developmental roots. 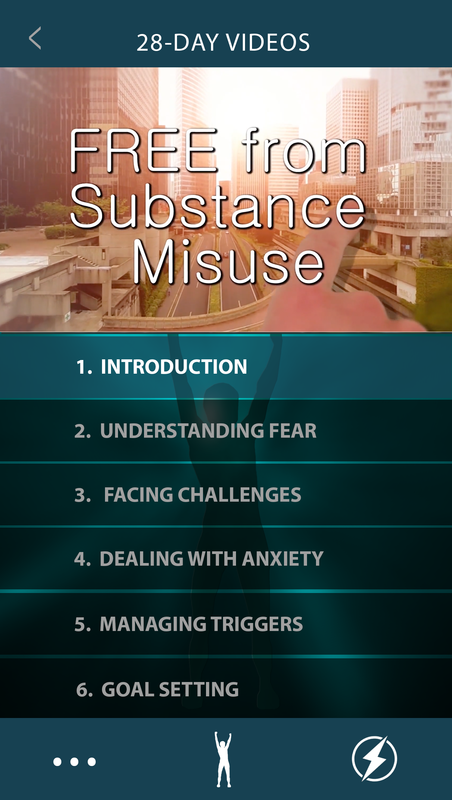 As you progress through the 28-Day Kick-Starter Program, you will complete exercises designed to uncover the root cause of your substance use issues. 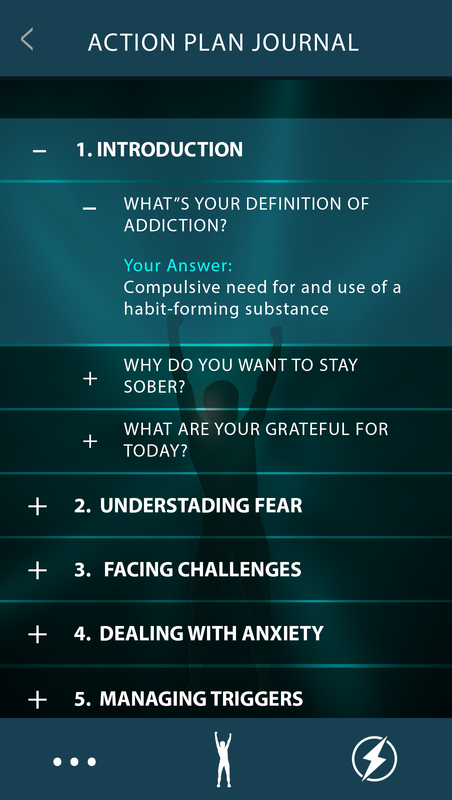 You will identify the factors that have led to your current relationship with substance use and create a clear path forward for a successful recovery that will be completely custom to your unique situation. All of your answers to the questions and exercises from the 28-Day Kick Starter program will be stored in your Freedom 365 Action Plan™. Your unique and completely private Action Plan will be your road-map for success in recovery and in life. 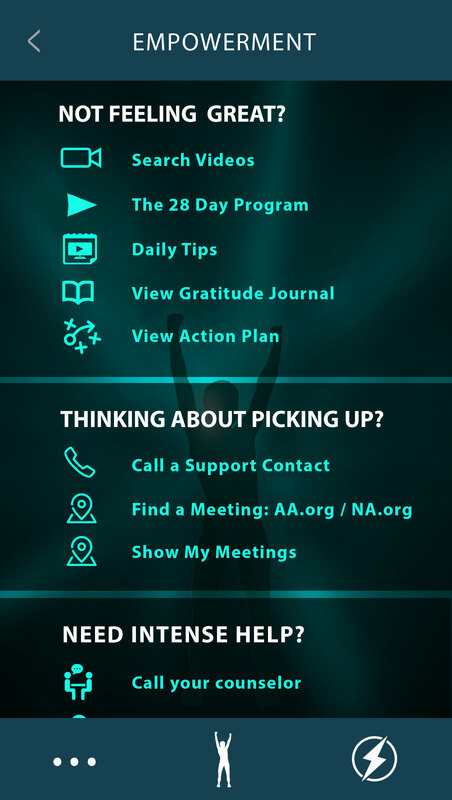 As your views on substance use change and evolve throughout your 28-day Kick Starter Program you can adjust your Action Plan to reflect your enlightened outlook. By the end of your 28-Day Kick Starter program you will have clear path forward and full understanding of how you to utilize the ALL the tools included your Freedom 365 Virtual Recovery System™. It’s not called Freedom 365™ for nothing! This Virtual Recovery System™ provides 365-days of recovery guidance and support to free yourself of the chains of unproductive substance related behaviors. This includes over 450 inspirational videos and daily action steps to keep you on track, engaged, and inspired towards your road to a full recovery. It’s important to start each day by watching one of these short inspirational videos to set your focus for the day and keep progressing forward on your rewarding journey. At the bottom of every screen on your Virtual Recovery System™ you’ll see a lightning bolt. This is you “Empowerment” button. Whenever the thought of relapsing enters your mind, click on this icon. This feature will help you empower yourself and refocus your energy on a complete and full recovery. On your Empowerment screen, you’ll see several options to change your focus at varying levels of intensity depending on the severity your needs. To make the most of the Empowerment screen, you’ll first want to enter-in your support contacts. 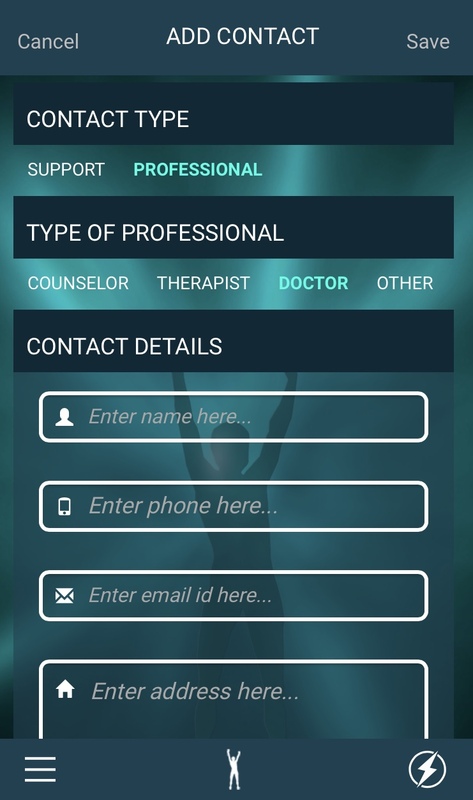 Enter professional support contacts, such as your counselor, doctor or other medical professional… You also want to enter personal support contacts, such as your sponsor, supportive family members and friends who will encourage you on your journey. When the need arises you’ll want these contacts at the ready, so you change your focus and find the support you need. Another way to make the most of your Empowerment screen will to be enter local support meetings in your area. Freedom 365™ provides several links to tools that locate group meetings in your area on the Empowerment screen. Once you locate the meetings in your area, enter the details of these meetings under “My Meetings” on the Empowerment screen or by finding “My Meetings” under the “Profile” screen. Camaraderie and surrounding yourself with people who have gone through, (or are currently going through) the same process you are going through, is a recipe for success. Success leaves foot-prints, and by following the lead of people who are accomplishing the same goals you want to accomplish, you will succeed as well. Finding local support network that understands your journey will lead to a winning outcome! As you go through your journey toward a full recovery, it’s important to remind yourself of what you have to gain in sobriety (and what you potentially have to lose if you allow substance use to interfere with your life). With that in mind it will be important to add entries into your Freedom 365 Gratitude Library™. Your Gratitude Library is an important tool to remind yourself of all the reasons you have to get and stay sober. 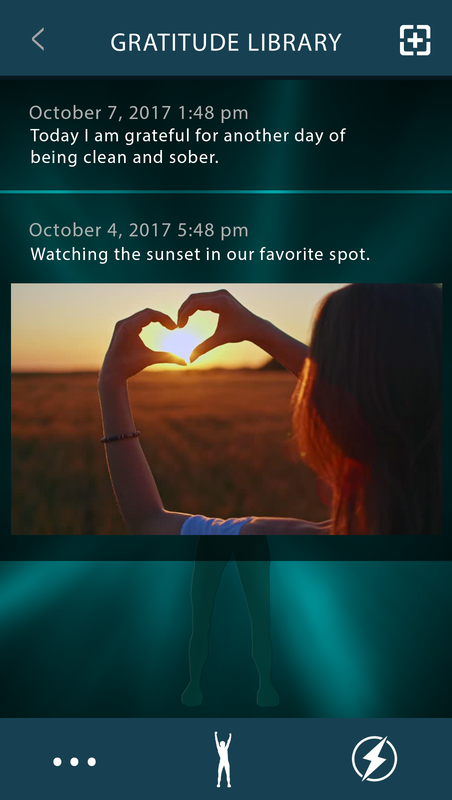 You can take photos of the important people, places, and things in your life and put a caption with them and save it in your Gratitude Library. 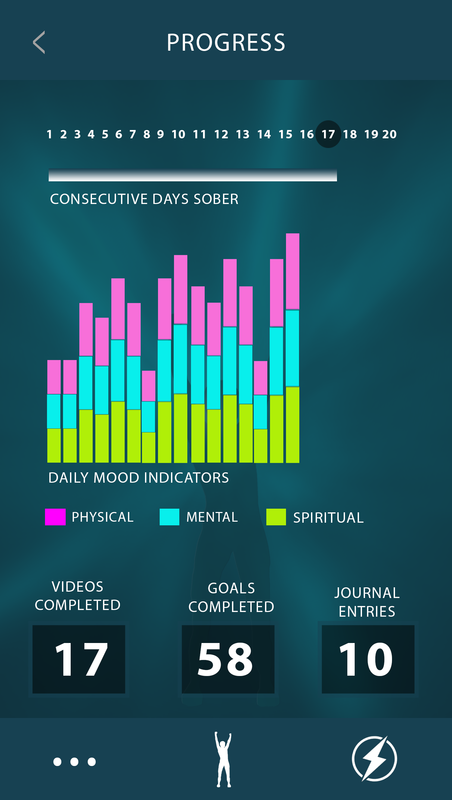 You can also journal about all the reasons you have to stay the course and not take a drink or drug today. If you find yourself daydreaming about drinking or drugging, click on your Gratitude Library and see all you would risk losing should you decide to get high. Is it really worth losing your job, family, relationship or freedom just to have a drink or drug? Your Gratitude Library should remind you of the reasons “Why” you want to stay sober and all the things you have to be grateful for in your life. If you aim for nothing you’ll surely hit your target — That’s why Freedom 365™ offers a complete “goal-setting” system. Goals give us direction for our hours, days and weeks ahead. Freedom 365™ allows you to set goals both big and small, so we can follow a predetermined path to success. Throughout the 365 days of Freedom 365™, you’ll be prompted to set specific goals to aid you on your road to recovery. 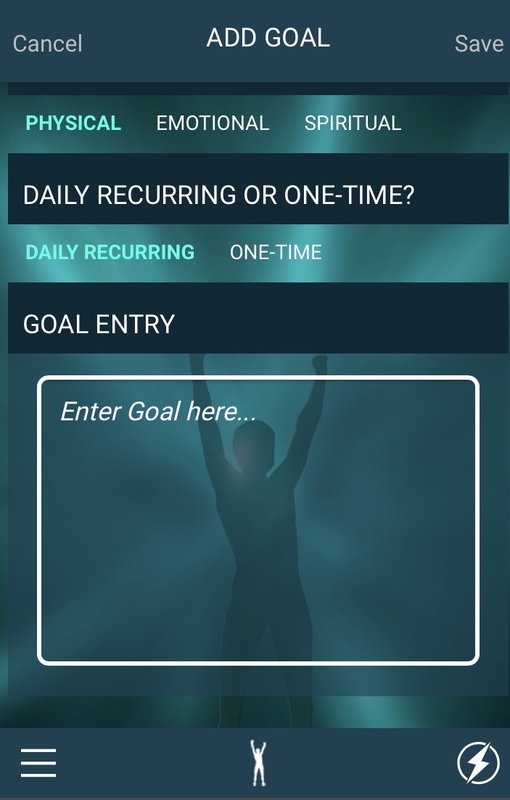 The Goal system on Freedom 365™ can serve as your daily calendar and day-timer, providing you a clear personal course for a successful life, each and every day moving forward. Everyday you stay sober, every journal entry you make, every goal you complete, every step you take toward a full recovery is a reason to celebrate! Freedom 365™ allows you to celebrate these victories each and every day with our “Progress” tracker. Check your progress regularly to remind yourself how far you’ve come and use it as motivation to keep reaching higher by setting even bigger goals. After you subscribe you will receive an email to set-up your username and password. Watch today’s daily tip and dive into 28-Day Kick Starter program.